Icons now scale with font size! 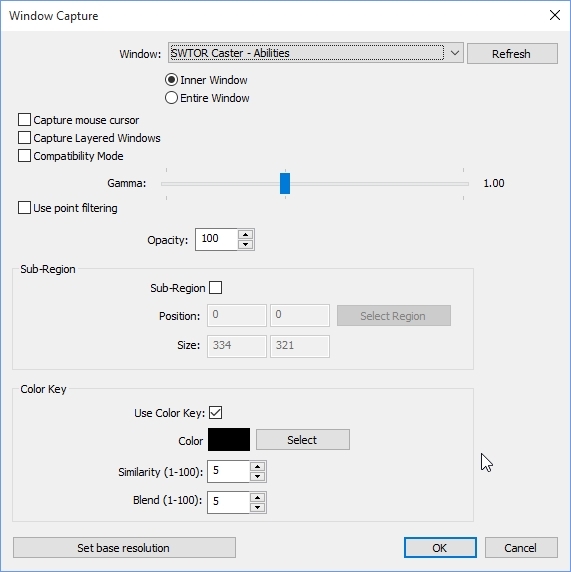 Minor settings cleanup and resizing to content correctly. The ability to change the border thickness on your selected font. All brand new 5.0 abilities, pets, mounts etc supported. 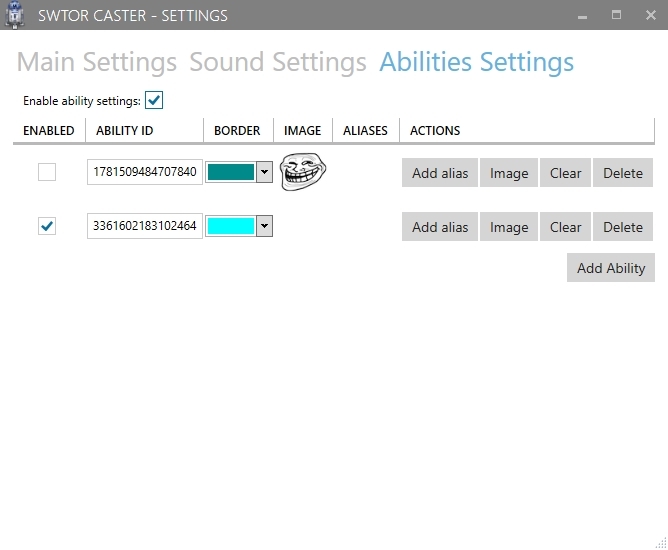 Playback ability allows you to record the playback of SWTOR caster using your prefeered recording software, such as OBS. 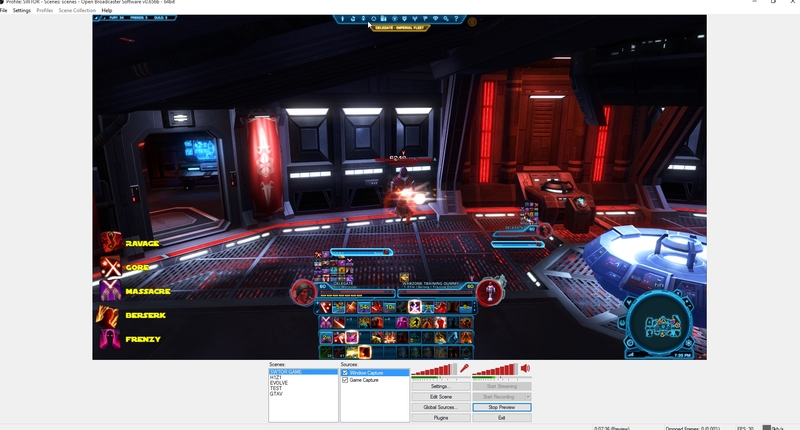 This enables Youtube/Guide videos to use SWTOR caster to its best potential as it allows content creators to syncronise the SWTOR combat log with the actual gameplay footage. Currently when using it as a Stream or for the realtime logging, there is a delay due to the game client delaying writing to the combat log file. 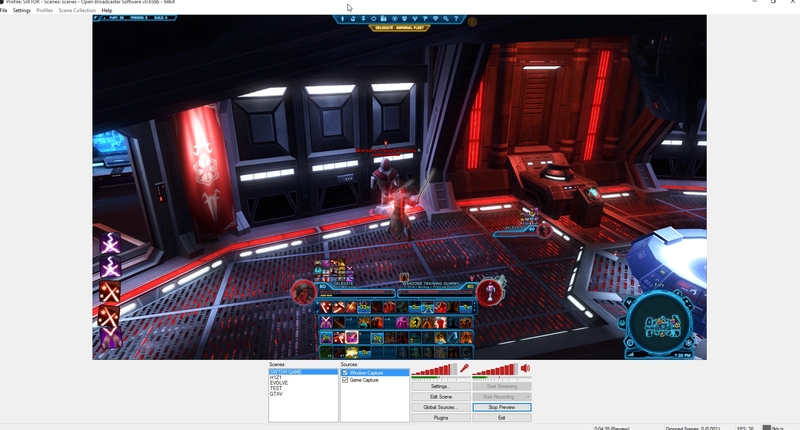 Now it is possible to record your game play, then record SWTOR caster window seperately, and with some video editing software you are easily able to syncronise the two! 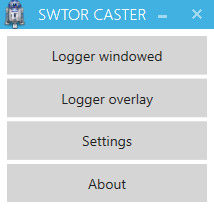 SWTOR Caster is a SWTOR ability logger for streamers using the built-in combat log system. 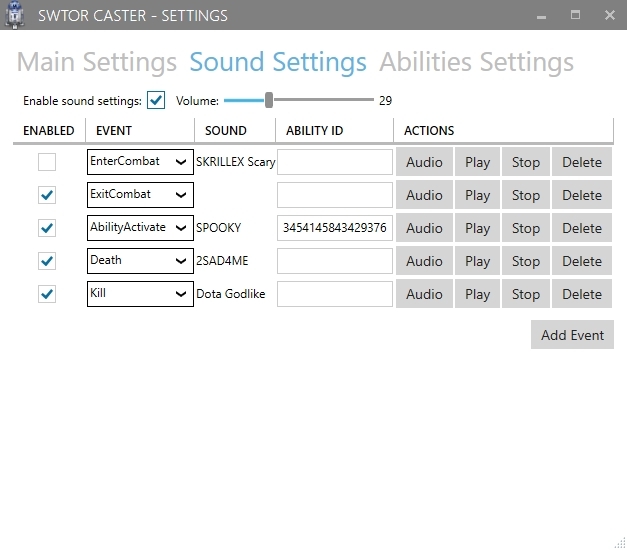 Whenever you use an ability, it reads it from the combat log and allows you to display it as an icon + text in OBS or your streaming software of choice. 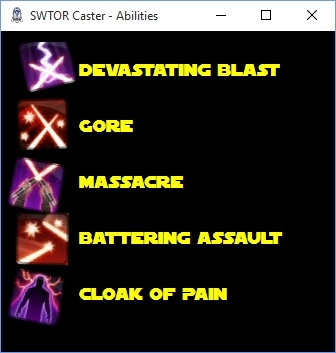 SWTOR Caster uses the Microsoft .NET Framework 4.6.. If you're on Windows 8 or 10, you will most likely already have this installed. However the setup should also take care of this for you. 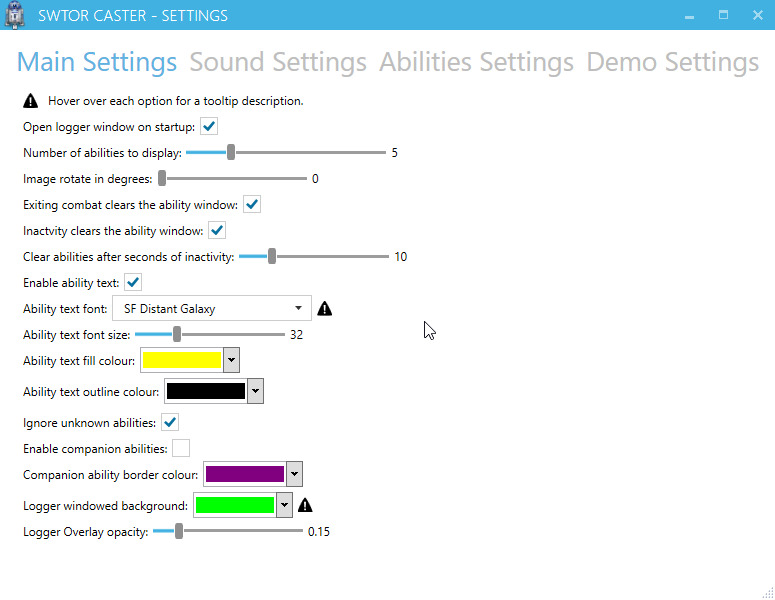 Windows 7 Users using OBS, will need to ensure Aero theme is enabled, otherwise you cannot use SWTOR Caster as a Window source. Please consider using Delegate's SWTOR referral link as a way to say thanks! Add some difference from other streamers and stand out from the rest. 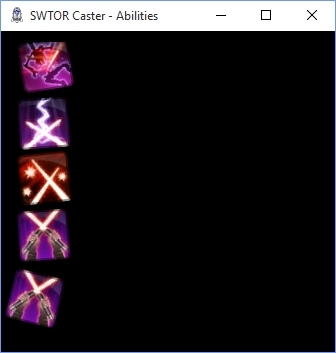 Viewers can learn class rotation with being able to see the abilities you use and in what order. Great for PvP to show off some of those skills. People might ask what your opener is on an enemy, but now they can see it clearly. You can hide the ability text for a minimalist look. Customize image borders per ability, e.g border defensives with a blue, offensives red maybe. Be sure to enable the combat log file. SWTOR Caster reads this file like other third party DPS/HPS Parsers. SWTOR Caster is maintained by Delegate.